The DWL-7100 tri-mode dualband 802.11a/b/g (2.4/5 Ghz) wireless 108mbps access point is a networking device that can be used for both old and new wireless networks. It is designed to perform within the IEEE specified wireless networking bandwidths of 802.11a, 802.11b and 802.11g. It can also deliver upto 15 times much faster networking speeds if working in ideal environments that are devoid of networking interruptions such as crowded buildings, construction sites, adverse hostile climate, or excessive network traffic. This device is well suited to providing an adequate backbone structure for new wireless networks or expanding an established wireless network. The DWL-7100AP can be used within a single building and also to link several buildings that are relatively close to each other. This device is small and compact, making it easy to set up in any area within the office or home as long as it is a safe location and free from the common wireless network interferences. Once set up, it is up and running almost immediately. This is because; the configuration process for this device is relatively simple and also gets completed quite fast. A person wanting to start using a wireless network need only budget from $ 27 upwards for both new or after market varieties of the DWL-7100 AP. This makes it one of the most affordable wireless networking solutions available for both domestic and commercial wireless network requirements. It also becomes the networking solution of choice when a company is thinking of moving away from networks that require the laying down of labyrinths of network cable before actual operation. The DWL-7100AP is versatile as far as functionality is concerned. This means that this modular device can work in several networking capacities depending on the current and growing needs of its many users. It can be used as a wireless access bridge within the 5GHZ 802.11a bandwidth. It can also act as a direct access point within the 2.4GHz 802.11b/g bandwidth ranges. This makes it flexible enough to operate as a direct access point, single or multi bridge point, and also as a repeater for signal clarity. 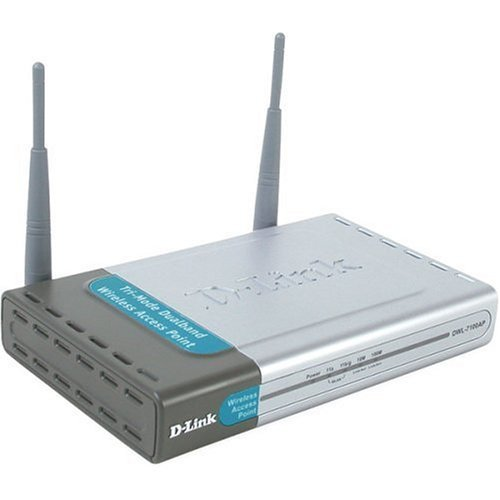 In its capacity as a repeater, where compatibility with other D-Link devices is required, this device uses a wireless distribution system for smoother functioning. In wireless networking, security is a very big concern. The security of all types of personal or official information travelling in cyber space is very crucial to the reputation of any network especially a wireless network. 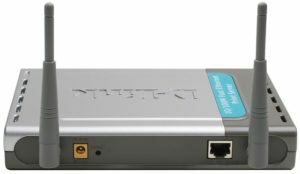 The DWL-7100 provides security at 2 levels, namely WPA and WPE at bandwidths of 802.1x and 64/128/152 bit respectively. Other security features include advanced encryption standard, SSID broadcast disabled, wireless LAN segmented and filtering of MAC address. These security features make it easy to use in conjunction with many other applications that can be found on the desktops and mobile applications of most computer users today. Networks can never be successful unless each individual member is able to do their work with minimum time wastage attributed to network downtimes. These downtimes delay individual performance and slow down the overall work output of the whole team. Network downtime is also very vexing and time consuming. The DWL-7100 is designed to handle many users within its bandwidth. This functionality is enabled by having signal capabilities that can reach 108mbps in the right conditions and environment, when set in super fast form within the 802.11g/ and 802.11a bandwidths. Despite this, it still maintains 802.11b functionality. This makes the job of the network manager very easy because they have enough bandwidth to address the different work requirements of their wireless networking clients. The problem of networking downtime becomes ancient history. 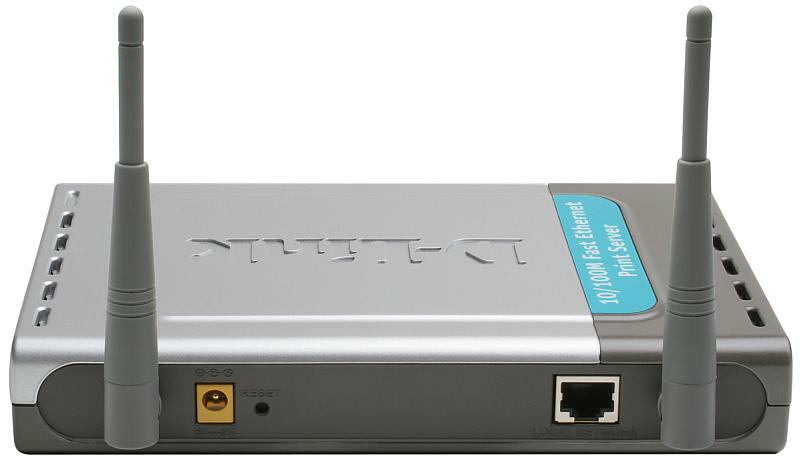 Accessing the DWL-7100 can be done using the internet or through Telnet. For those network managers who need to work on various remote points at the same time, by using the D-Link AP manager or D-View SNMP manager, many access points can be configured for use from a particular location. This makes network management very easy because as the network users continue to grow they can be managed from one location. The time saving element of this feature makes this wireless networking device very user friendly. The configuration process of this device is easy to follow, whether it is being used in home or office networks. The device manual is easy to understand and the help desk is on call 24 hours a day. Since its cost is very manageable it forms an excellent investment for anyone wishing to purchase an affordable wireless network that is built to last into the long term. Like any other network, there may be a few hiccups along the way but using this wireless device as the network of choice beats laying mountains of cables just to have a local area network. It also becomes much easier to diagnose and correct a networking problem in good time whenever it manifests itself. The voltage required to successfully operate the DWL-7100 is usually 5VDC with a 10% allowance either way. During operation the surrounding temperatures must remain cool and not exceeding 40 degrees centigrade. It should also be stored in dry places where the temperature varies between minus 20 and plus 65 degrees centigrade. The humidity conditions should be relatively dry for proper storage and operation and should not be lower than 5% or higher than 95%. The DWL-7100 is both FCC and UL certified. Its efficient dimensions of 6.18” by 4.13” by 0.79” make it very adaptable to workplaces that have limited space provided. This device is also very portable because of its minimal weight at only 200 grams. This makes it an ideal asset to possess for any dynamic work place today.